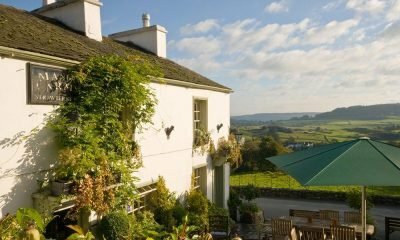 It might not be an area of Cumbria with majestic, towering mountains, but Cartmel and the Lyth Valley should not be over-looked for a breath-taking break in the Cumbrian countryside. 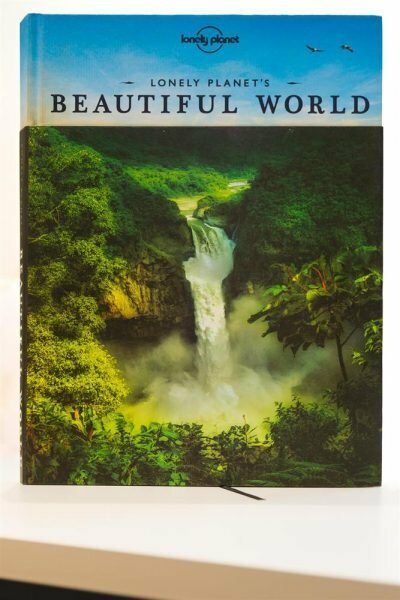 After all, there is a reason that Lonely Planet named the Lyth Valley in its top 200 beautiful places in the world as voted by their readers. And, the beautiful and historic village of Cartmel is fast becoming Cumbria’s top gastro haven. 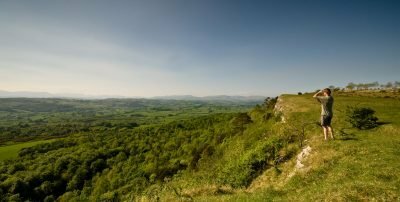 You’ll find the Lyth Valley snuggled between the majestic limestone of Scout Scar and Whitbarrow Scar. 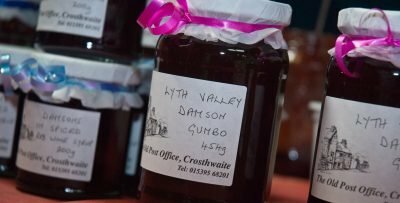 You will know you’ve found this hidden Cumbrian gem when you see it – rolling, lush , damson tree-strewn valley, utterly unspoilt. It’s located in South Cumbria (tucked away between Kendal and Windermere). And, a section of the Lyth Valley officially became part of the Lake District National Park in August 2016, after the authority extended its boundaries by 27 square miles. 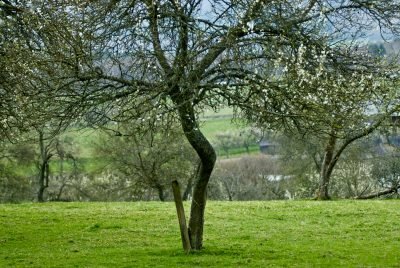 The sumptuous countryside is renowned for its damsons, whose trees in the spring turn the landscape white. This springtime spectacle provides the beautiful backdrop for Damson Day in April. In the autumn, splashes of purple fill the valley when the trees become laden with damsons. 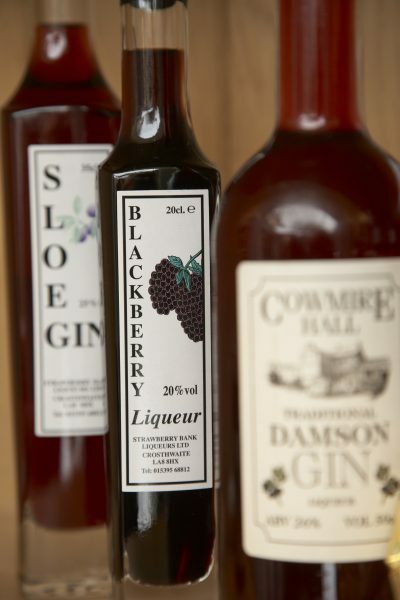 If you have never tried damsons, this is the place to do it – whether as a jam or even as a gin! In this unspoilt landscape, you will also find the villages of Crosthwaite, Bowland Bridge and Underbarrow. White-washed and stone farmhouses full of traditional and contemporary character can be found along the tranquil country lanes – a great place to stay for a real country lifestyle experience. The quaint village of Cartmel is not only an area of outstanding natural beauty, but is steeped in history and tradition – a great place to get away from it all and discover new things. It is most famed for its 12th Century medieval Priory, with stunning stained glass windows and ancient choir stalls, which host regular concerts and exhibitions. If you like to delve into a bit of history, then Cartmel is a place to discover. You’ll see plenty of 16th, 17th and 18th Century buildings dotted around the village and journey back to Cartmel’s religious roots, which date back to 677 when King Egfrith of Northumbria gave the village to St Cuthbert. Heading into the village square you’ll find the market cross, water pump, and fish slabs. 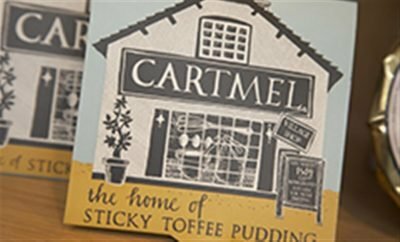 You’ll also stumble upon the many artisan shops, including the home of the world-famous Cartmel Sticky Toffee Pudding and Cartmel Cheeses. It might not rise as high as the likes of the Langdales, but it doesn’t diminish in beauty. There are many places to tread the sod in local woods and the surrounding fells – and there are breathtaking views over Morecambe Bay to be had too. There are many traditional Lakeland inns, gourmet restaurants and quaint tea rooms – whether you want breakfast, lunch or dinner, you won’t be disappointed. 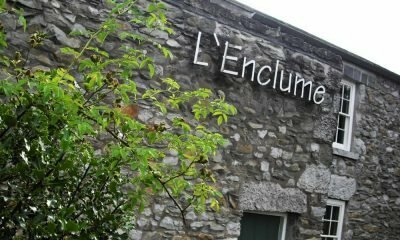 L’Enclume – An internationally acclaimed Michelin Star restaurant, which in 2016, was named as Britain’s Best Restaurant for the fourth year in a row. Lyth Valley – A place to enjoy a delightful morning coffee on a raised deck, a pint from their own Winster Valley Brewery and even a delicious meal in the oak-panelled dining room. Punch Bowl – This award winning eatery in Crosthwaite is a lovely rural spot for a good beer too. Also well worth a visit for good food and drink are the popular Masons Arms at Strawberry Bank and the Hare and Hounds at Bowland Bridge. It classes itself as an ancient jewel and living church – and it really is. It dates from the 14th century and was used as a school. It is now a Heritage Centre, which reveals the history of the village and its religious traditions and monestry. at nearby Cark-in-Cartmel is wel worth a visit. Home to Lord and Lady Cavendish it is a welcoming stately home with award winning romantic gardens and parkland with fallow deer. Another big attraction is Cartmel Racecourse, whose biggest events are held on spring and summer bank holiday weekends and during the summer. Levens Hall and the Estate has something for everyone, whether you enjoy a walk in the Levens Deer Park, a cup of tea on the terrace of the Bellingham Buttery Tea Room or marvelling at the world-renowned giant topiary shapes in the gardens. Also worth a visit is the Victorian seaside town of Grange-Over-Sands and, of course, Windermere with its beautiful lake. Close to the Michelin-Star L’enclume and amid rolling, lush scenery, is Durham Bridge Barn. This VisitEngland Gold Award home would not look out of place in a glossy magazine featuring countryside living. 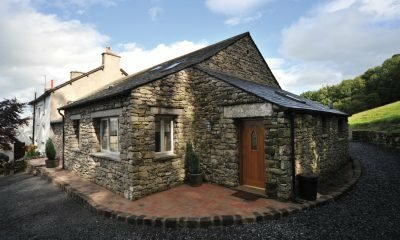 While quintessential Lakeland on the outside, it is contemporary chic and cosy inside and perfect for any relaxing breakaway. The award-winning Howbarrow Loft in Cartmel is a lovingly converted 16th century farmhouse in an idyllic setting. It won the Green Tourism Gold Award and has a hot tub. So, if you’re looking for somewhere special, you’ve found it. 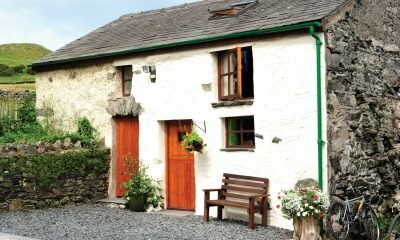 Howbarrow Farm also boasts a hot tub and a Green Tourism Gold Award and this contemporary Lakeland cottage is also found within the grounds of a Soil Association licensed organic farm. It is a real haven overlooking this green lush valley. For more information on booking a luxury self-catering cottage in Cartmel, Crosthwaite and the Lyth Valley just give us a call on 015394-88855 and we will happily help.